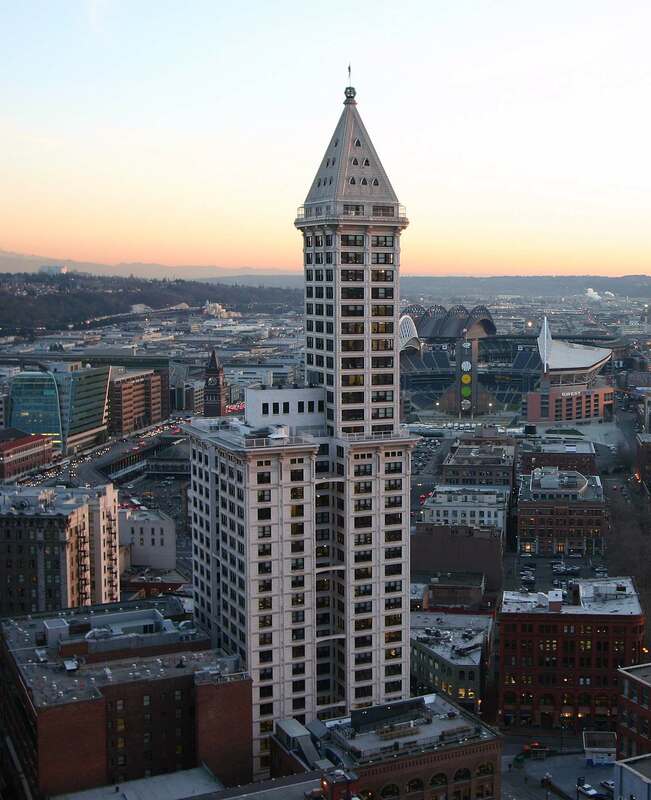 When it opened in 1914, Smith Tower in Seattle was the fourth-tallest building in the world. Now its owners have given it a new distinction by making it the home of a unique Prohibition-themed experience for tourists and locals alike. Unico Properties acquired Smith Tower for $73.7 million in 2015, double the historic building’s previous 2012 sale price. The company then enlisted Graham Baba Architects, the firm behind fancy food-related projects Melrose Market and Chophouse Row, to give Smith Tower a memorable makeover. Renovations are now complete, and starting August 25th visitors will be able to take a self-guided “Legends of Smith Tower” tour of the space. Highlights include an observation deck on the 35th story that offers spectacular 360-degree views of the city, and a speakeasy-style restaurant called Temperance on the same floor. Delights will include banh mi sandwiches, a raw oyster bar and Prohibition-inspired craft cocktails. If you’re visiting later this year, you’ll be able to check out “The Bootleg King,” an additional interactive tour experience coming in the winter. This tour will tell the entertaining story of Roy Olmstead, the youngest and most promising lieutenant on the Seattle police force until he was caught bootlegging whiskey and fired. He then became a professional bootlegger and before long was making more in one week than he would have earned in 20 years as a policeman. Special clues on “The Bootleg King” tour will unlock additional mysteries and exclusive access to secret drinks for all ages at the Temperance restaurant. Fun!